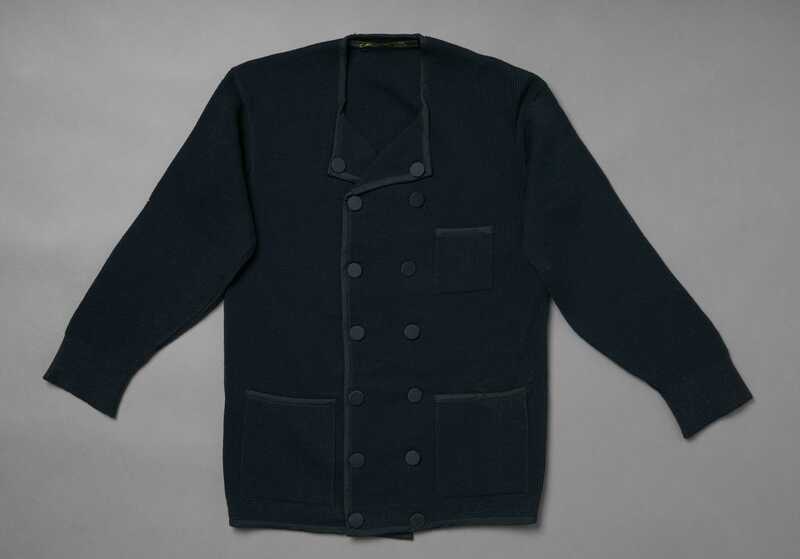 Although knitwear, mainly in the form of hosiery, was one of the first types of clothing to be mechanised in manufacture after the invention of the knitting frame in the late 16th Century, it was the introduction of steam power and factory production methods that facilitated the availability of larger items of knitted clothing by the mid 19th Century. This revolutionised the underwear industry, but also encouraged the manufacture of garments whose warmth and elasticity were particularly suitable for sports and work wear, as an extra layer beneath a coat, and as informal home wear. 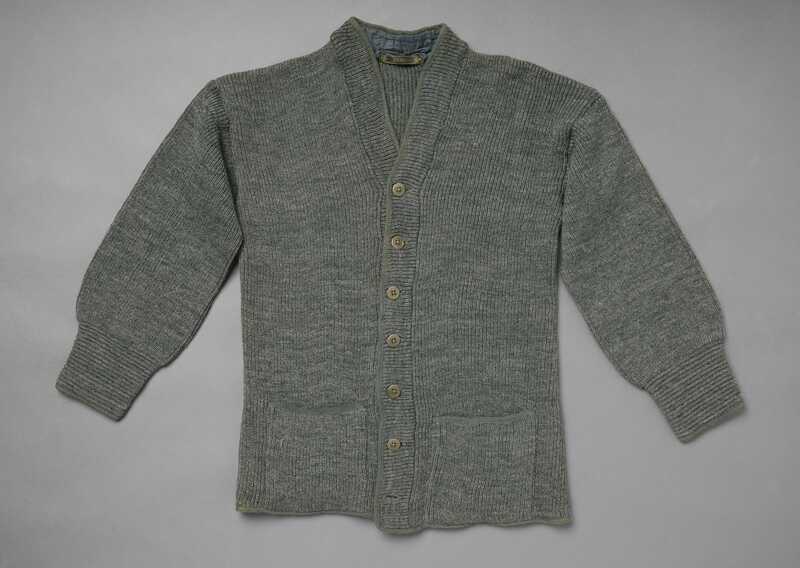 Men’s knitted jackets and cardigans generally came in a limited range of colours that typically included black, navy, grey, brown and maroon. 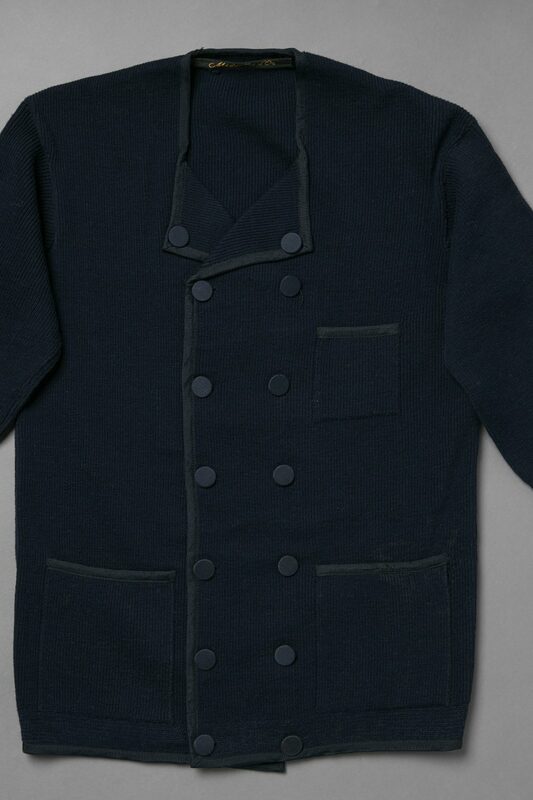 This navy jacket, based on the style of a contemporary informal cloth jacket such as a reefer, is made of finely ribbed wool, bound in silk braid with covered buttons and front facings of glossy sateen. 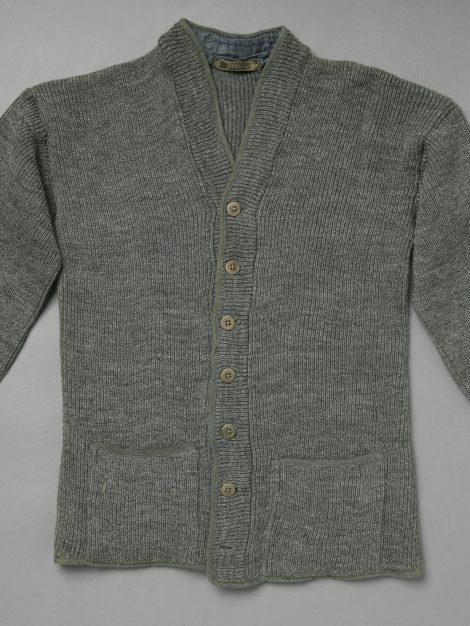 Although a casual garment it would have been considered more ‘dressy’ than the grey V necked cardigan illustrated in Additional Images that is of a thicker gauge rib and is bound in wool braid.